Bid farewell to Elton John during his last-ever tour at the Barclays Center, indulge in apps and cocktails while taking in stunning views of the city at Mr. Purple. Welcome to the vibrant and luxurious rooftop bar and restaurant atop Hotel Indigo Lower East Side. The super swanky design and artist-loft ambiance includes an indoor and outdoor space for dining and taking in gorgeous views of the New York City skyline. Includes a Happy Hour Invitation for two between the hours of 5PM and 6:45PM. Drinks and appetizers served. 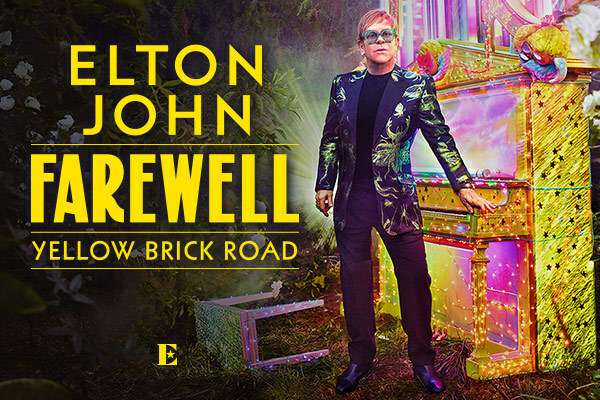 This is your chance to score two tickets to see the iconic Elton John during his 'Farewell Yellow Brick Road' tour at Barclays Center on Saturday, March 9, 2019 at 8PM. This tour will mark the superstar's last-ever tour and will tap into his musical journey spanning over 50 years.